December 15th - Holiday Spirits — This is Lit! Christmas time is here again. It’s time for eating too much, dealing with family and snow…lots and lots of snow. The author of this blog post is watching lots and lots of snow fall out her window even as she types. Welcome to the Midwest, y’all. As wonderful as everything is this time of year, all the traditions and expectations can be stressful. You know that. We know that. So, all us gals came up with our own tradition. Ladies and Gentlemen of the world, allow me to introduce to you the idea of Friend-mas. Friend Christmas (aka Friend-mas) is a tradition that Elizabeth has been hosting since her college days. It started off as a simple potluck with a couple of sorority sisters. Now, it’s a full on Martha Stewart Christmas. So, of course all the decorations color-coordinate with her dress. It’s a Christmas we can all look forward too with no stress of familial expectations. There’s turkey, pie and a cut-throat game of Celebrity. Casye doesn’t like to lose. Then again, in the game of White Elephant, you live or you die. Of course, there’s TONS of wine. 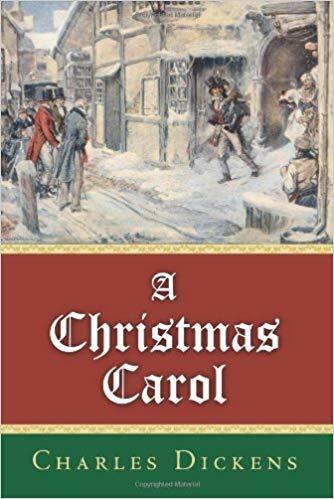 Being taken with the holiday spirit, we decided to cover A Christmas Carol by Charles Dickens for our first holiday episode. The only spirits I like are the ones in this glass.